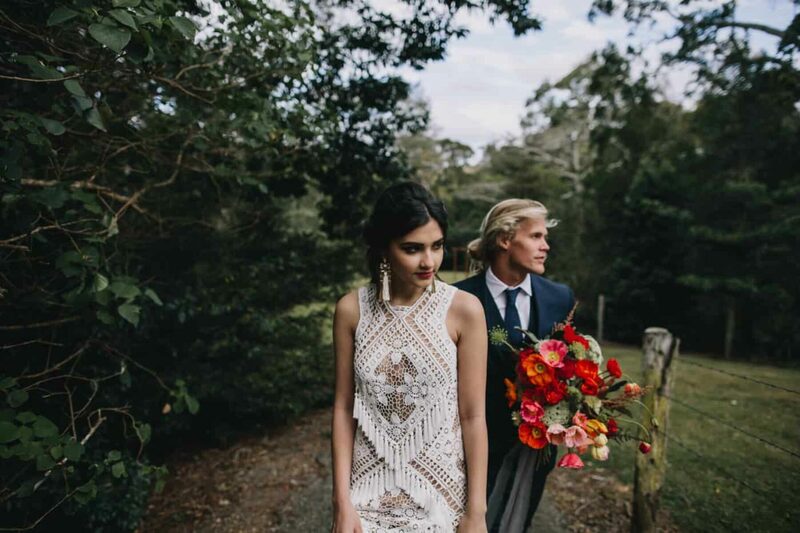 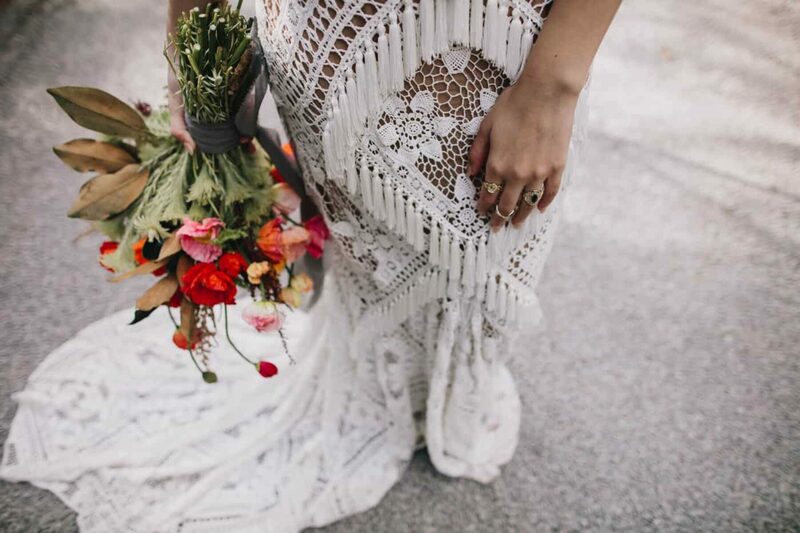 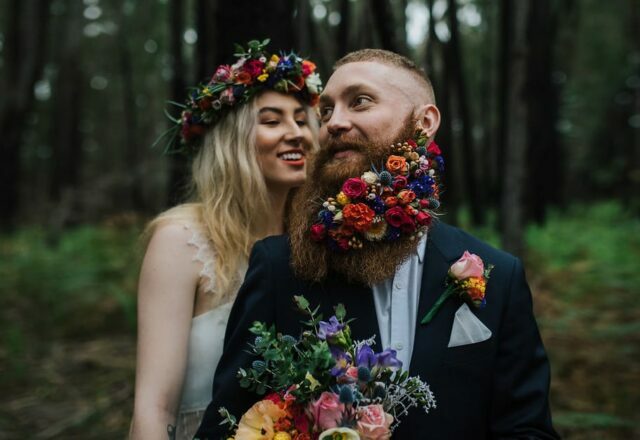 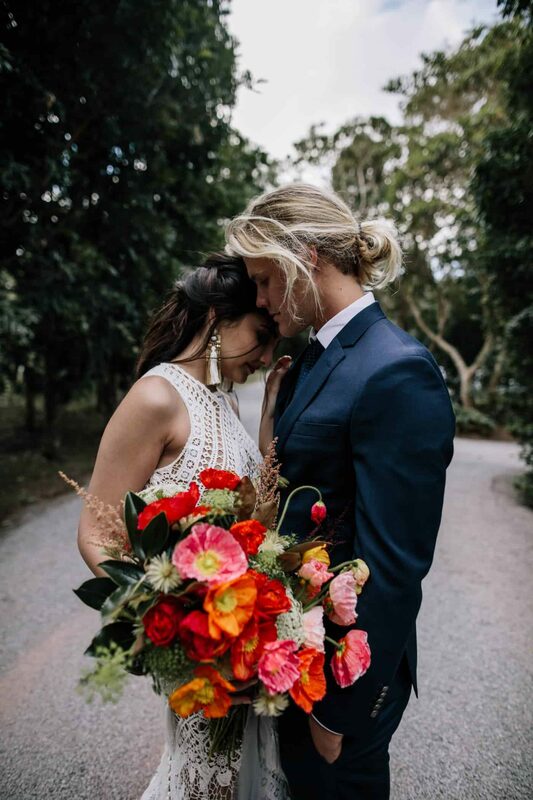 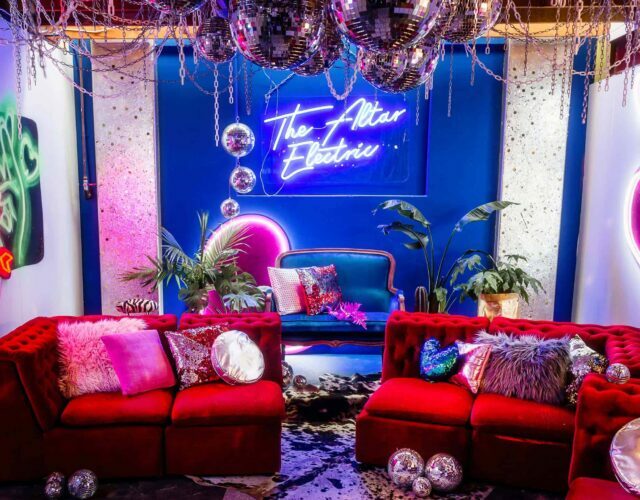 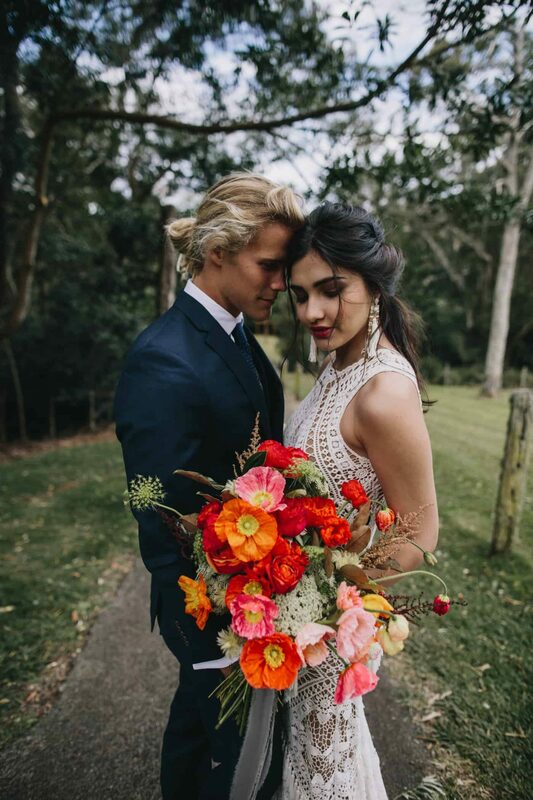 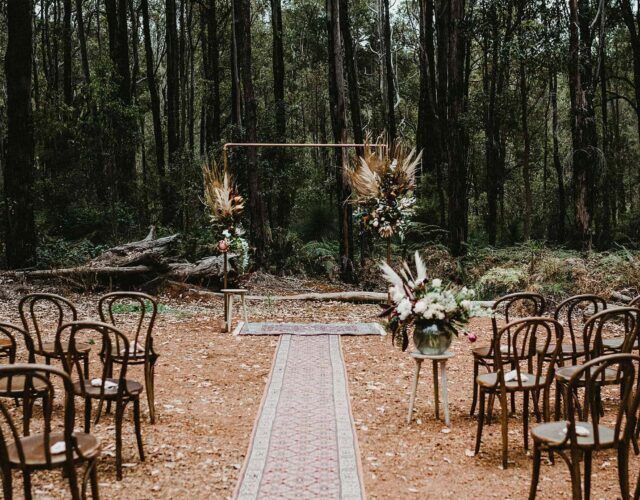 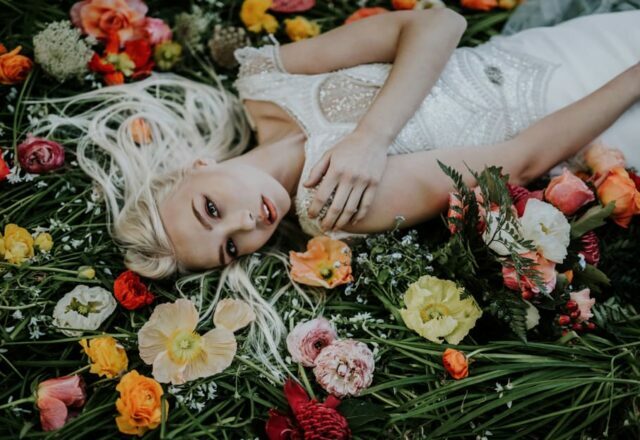 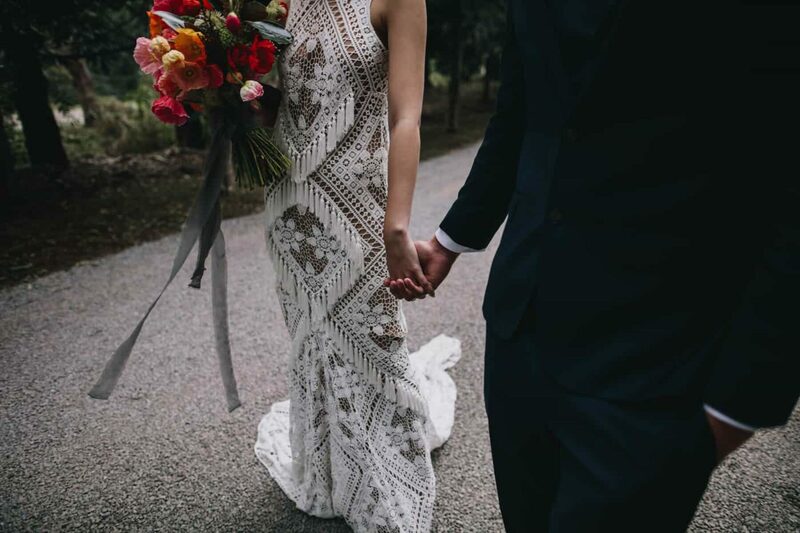 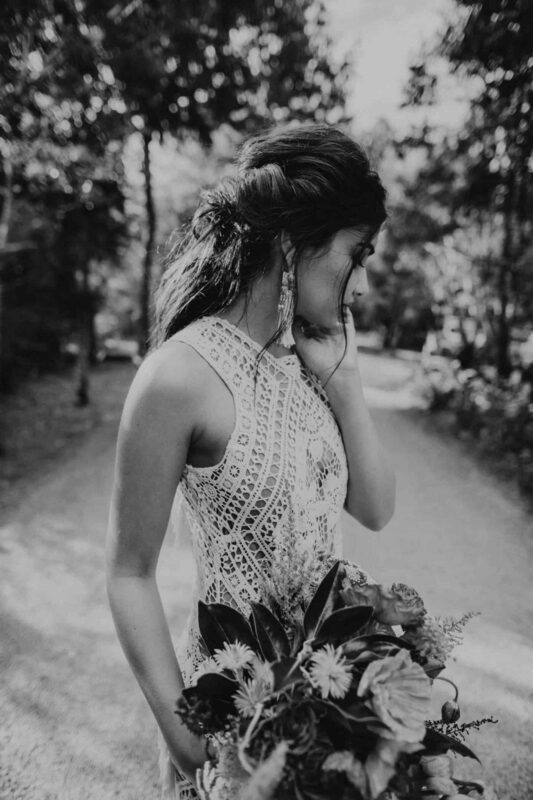 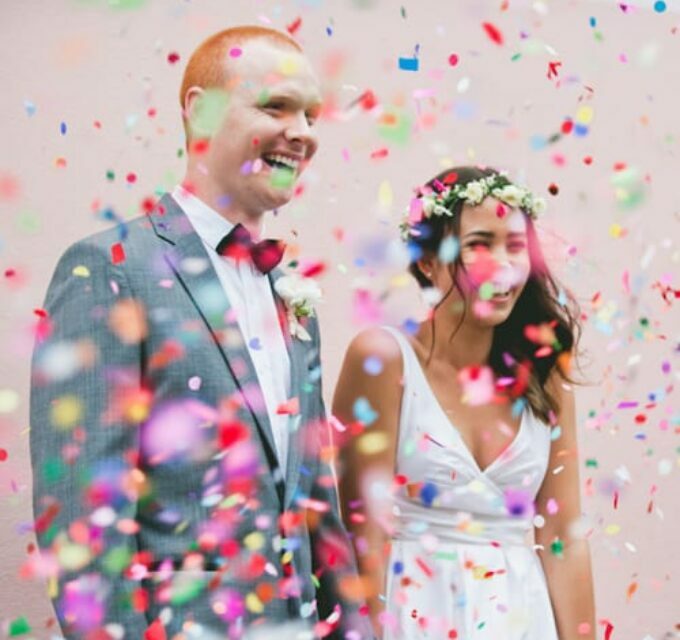 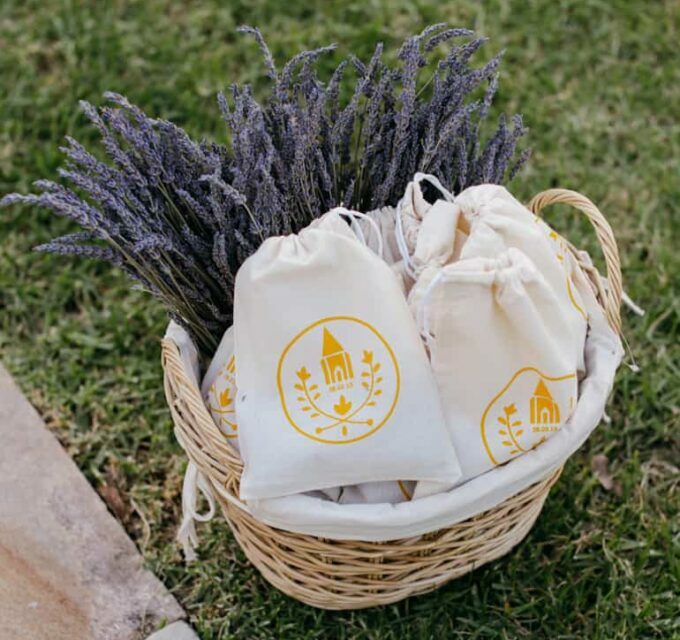 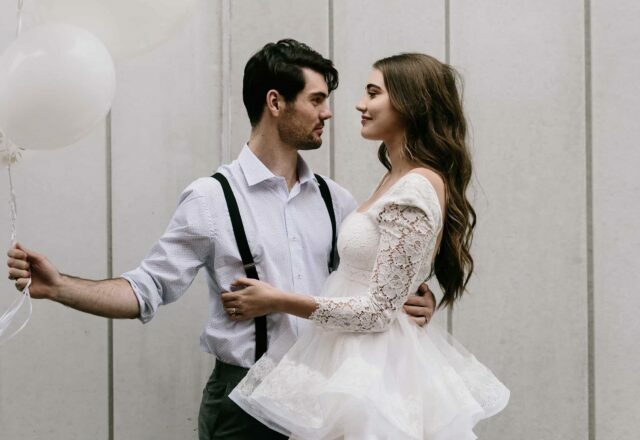 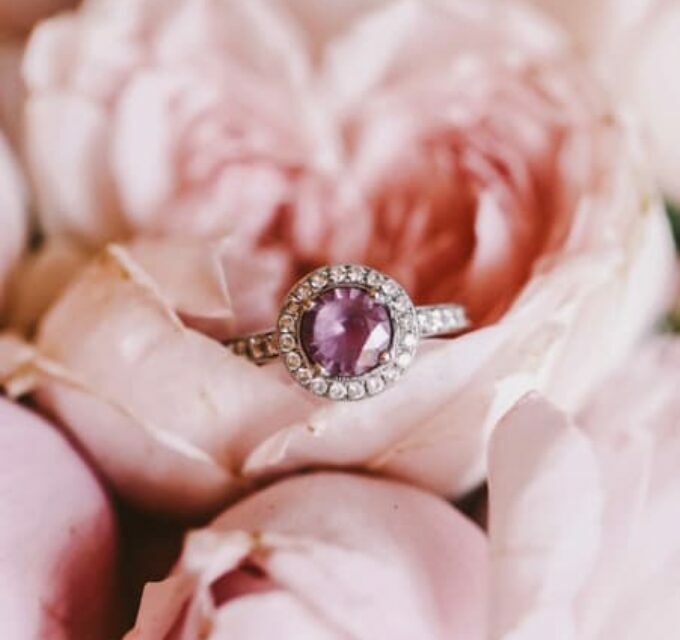 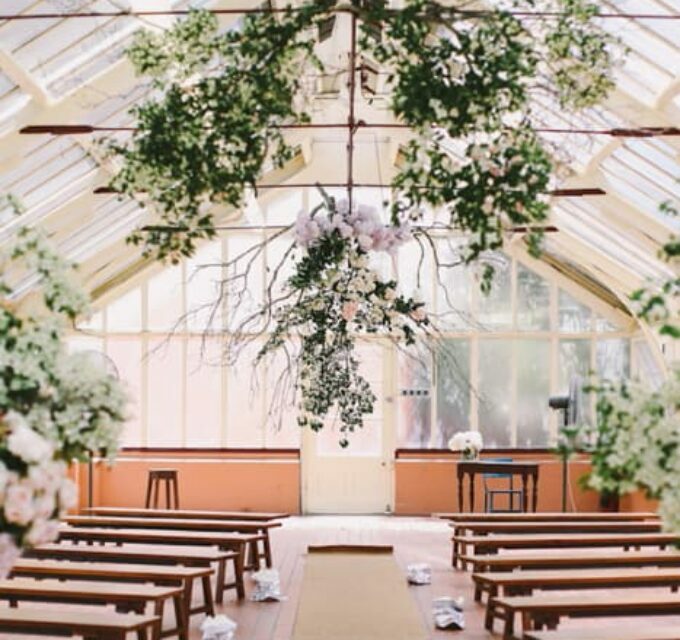 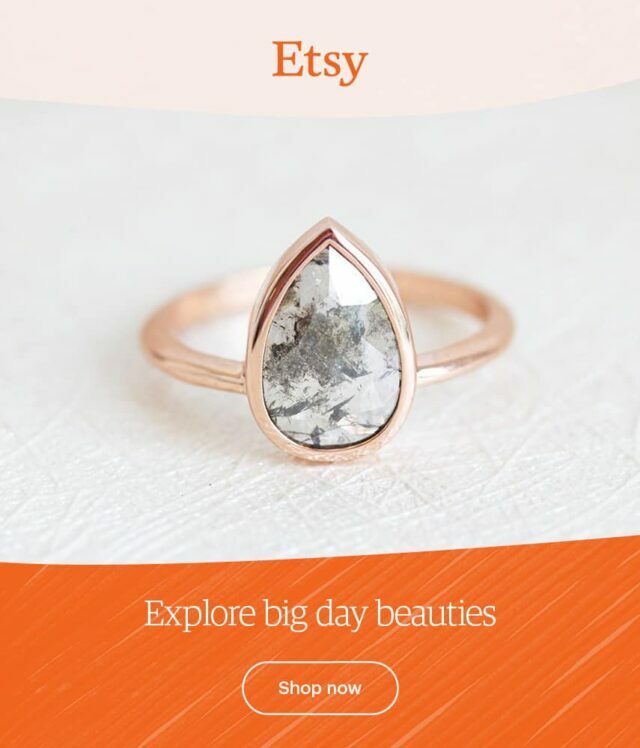 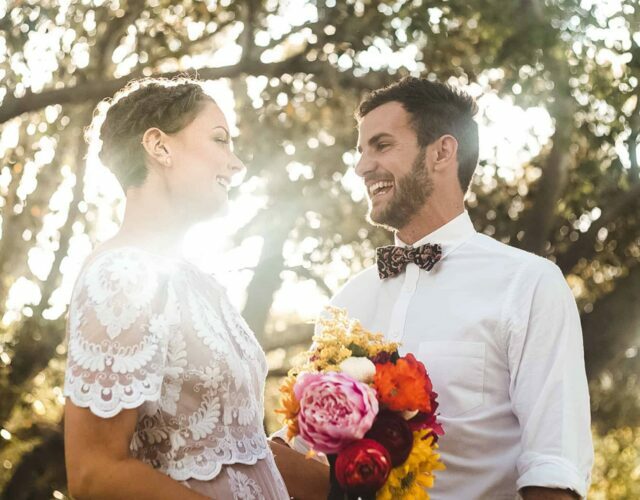 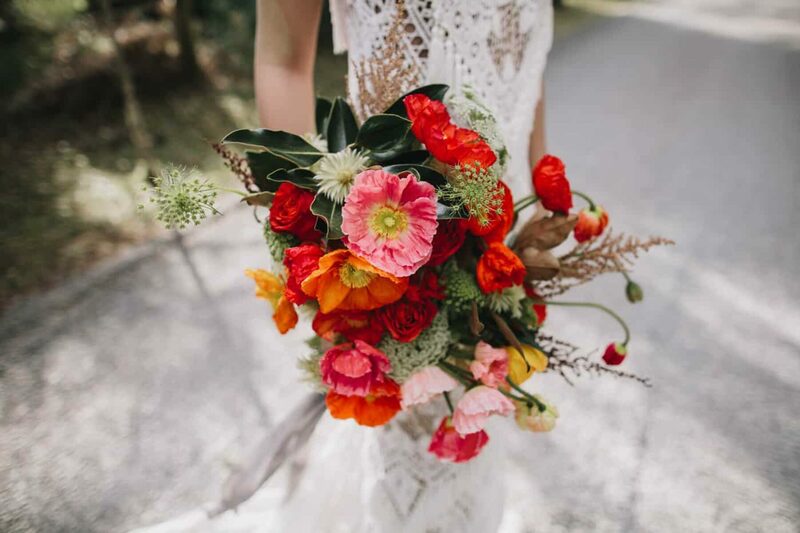 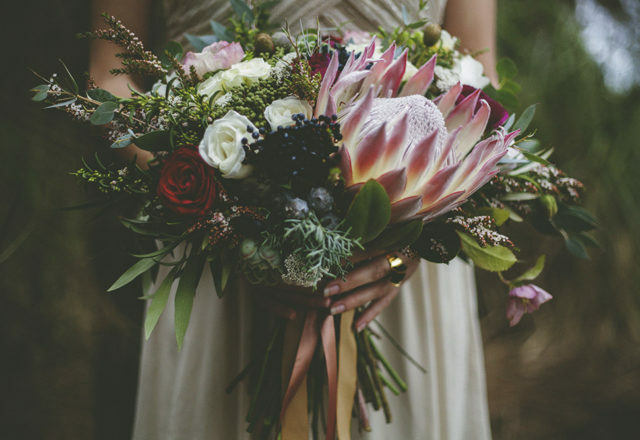 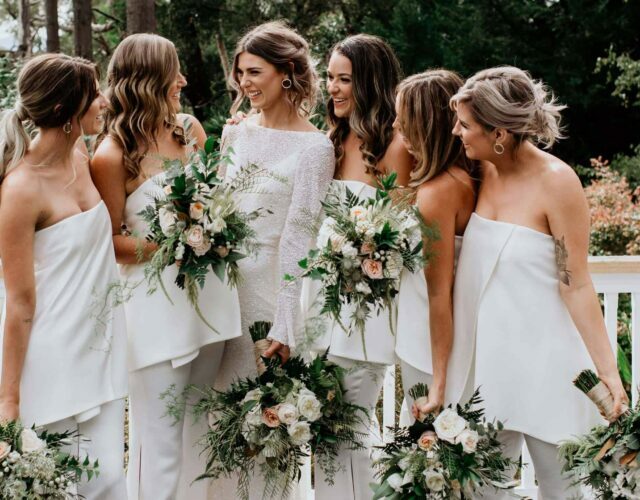 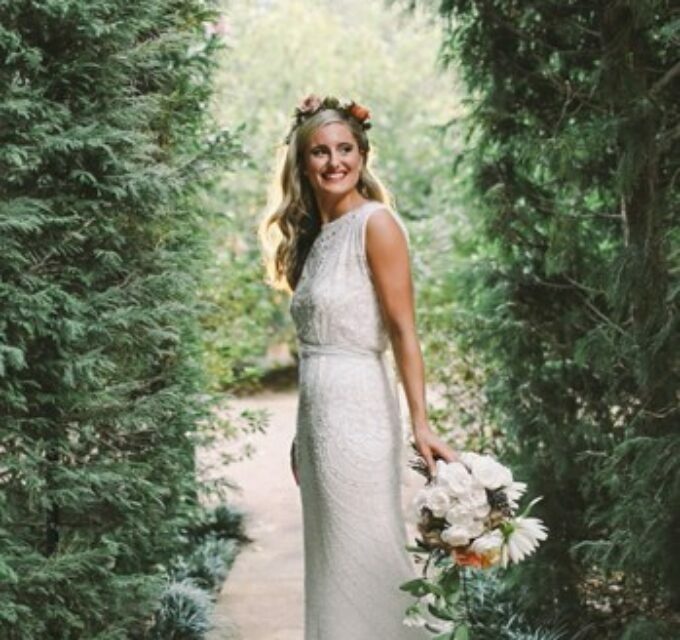 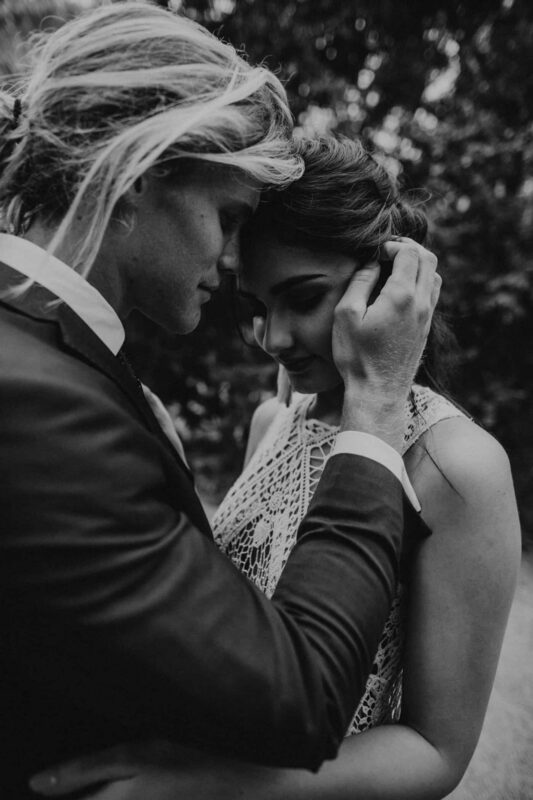 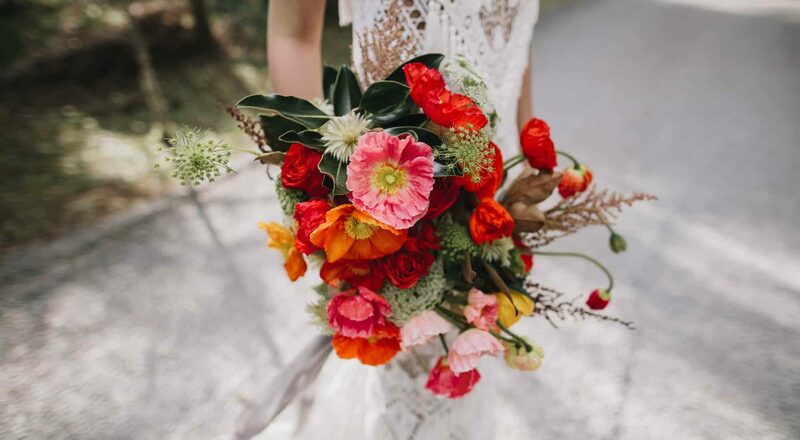 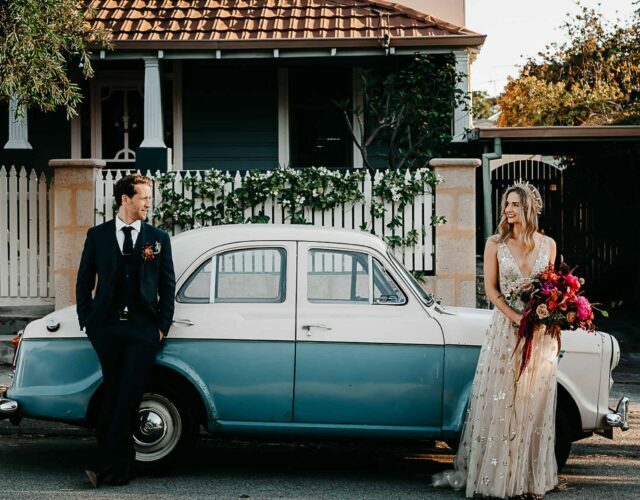 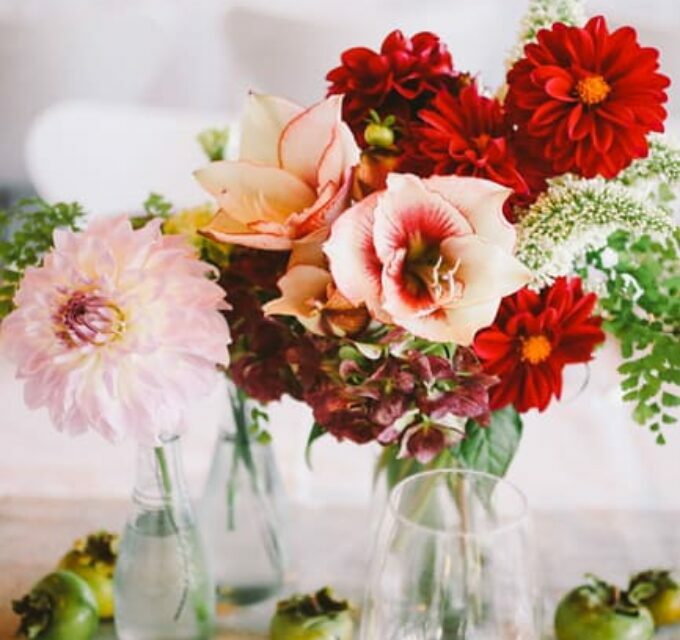 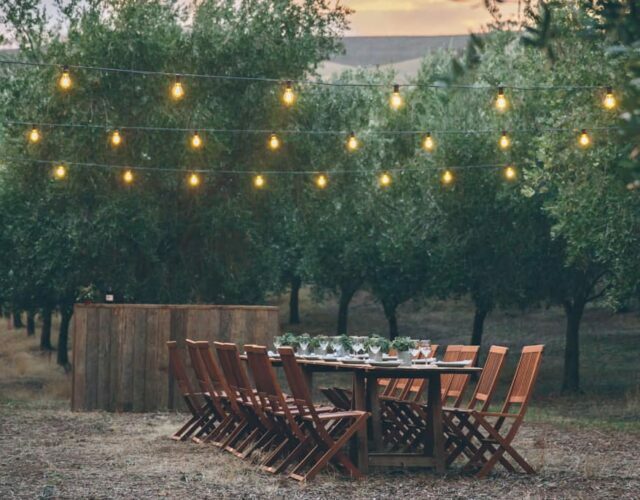 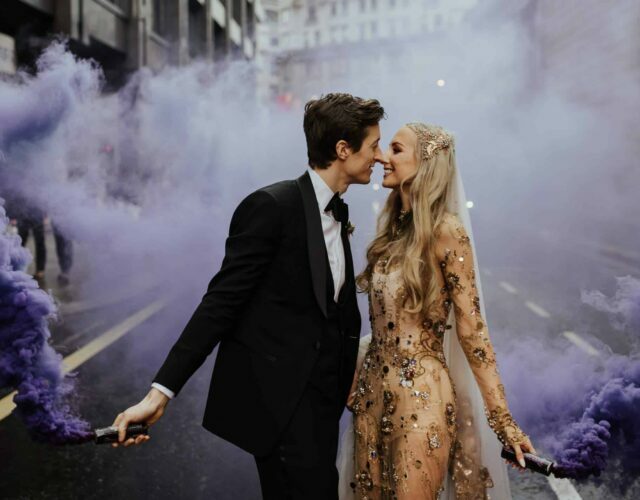 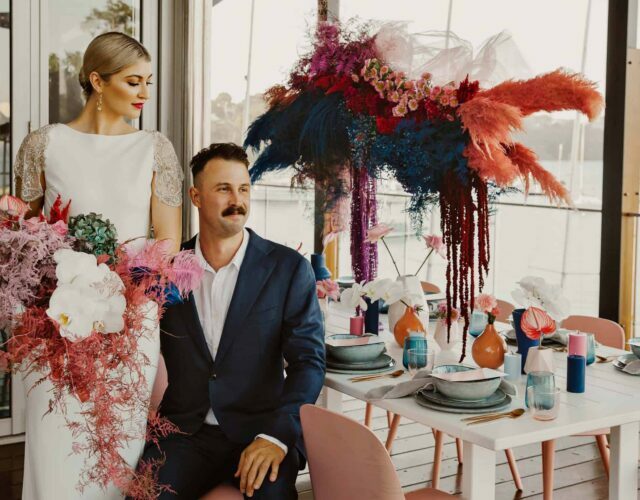 The trick with a popular bridal trend like boho is to put your own spin on it, and that’s exactly what the Queensland creatives behind this shoot have done, gathering some of their most beloved brands to produce a shoot that will inspire even the most Pinterest-weary bride-to-be. 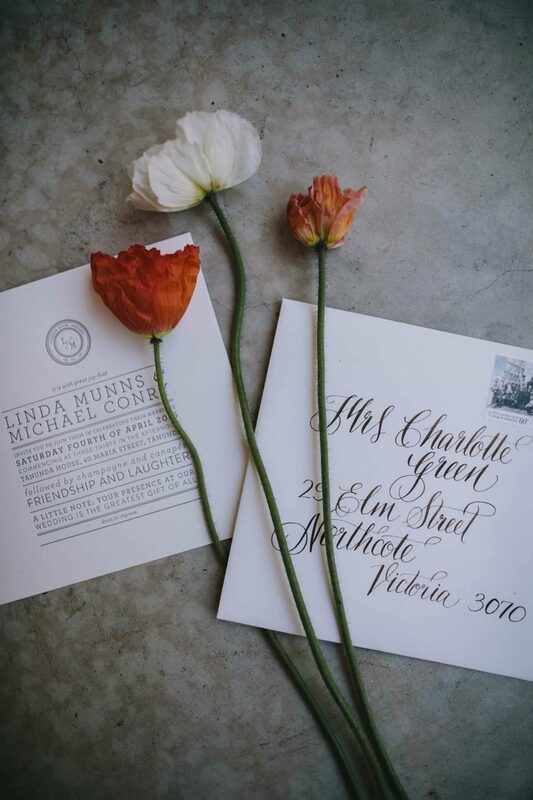 With Ode Studios behind the lens and concept, the scene is set with a beautiful letterpress invitation suite from the design gurus at Bespoke Press. 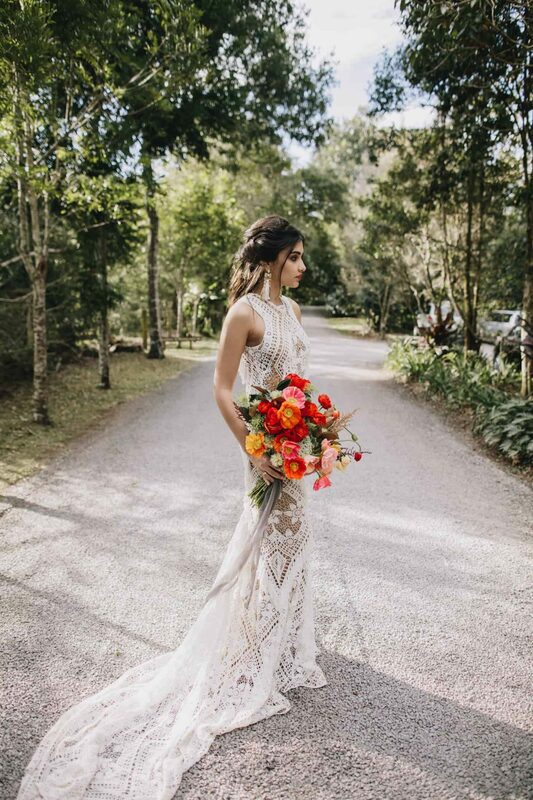 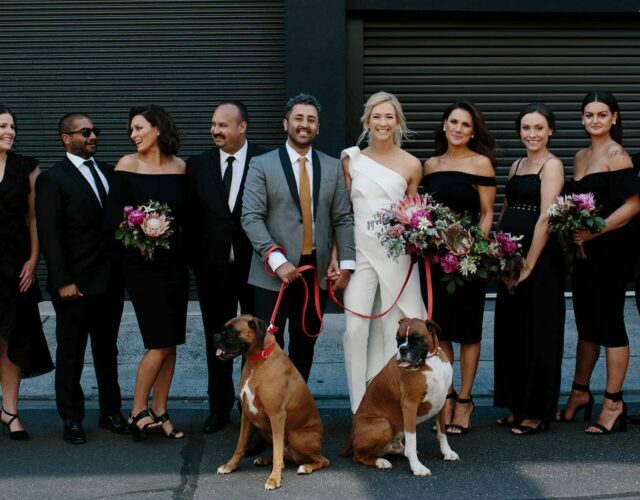 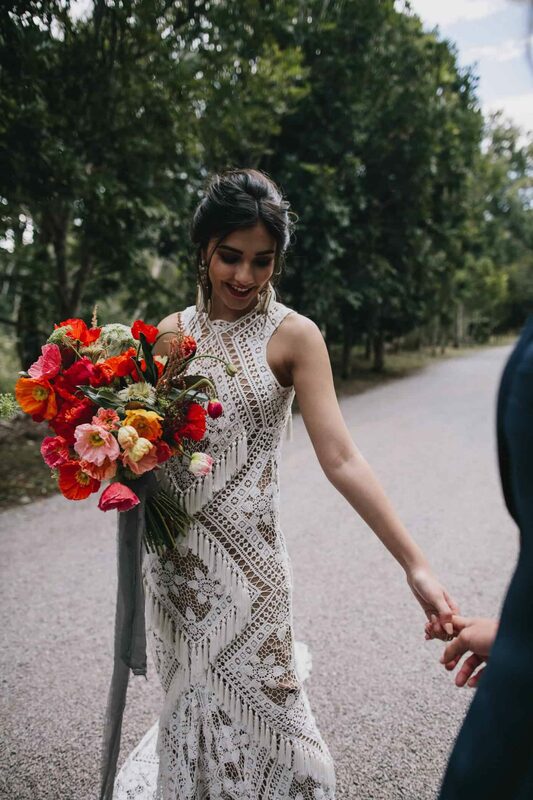 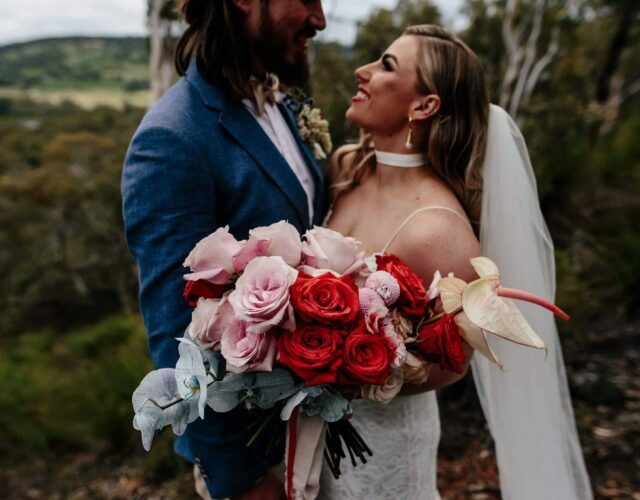 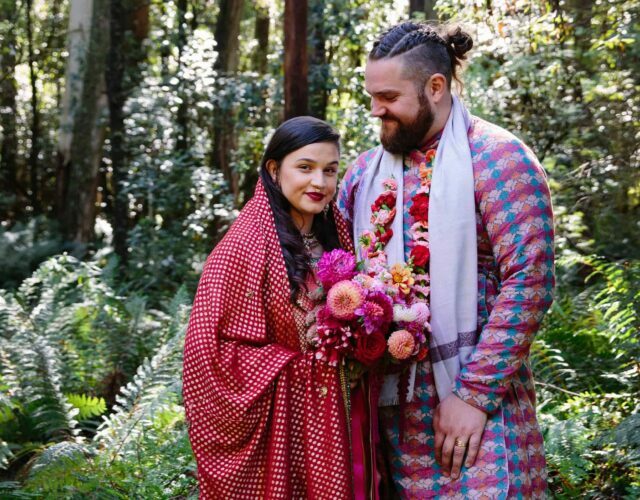 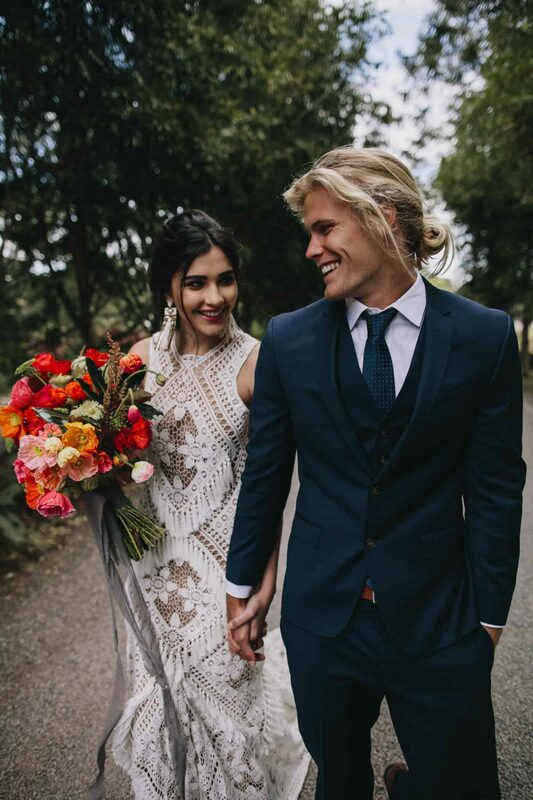 The bride’s Rue de Seine gown from The Bridal Atelier with open back and tassel detailing and earrings by Samantha Wills are the epitome of boho, but her look is given a modern twist with bold makeup by Elizabeth Crossley highlighting her dark features. 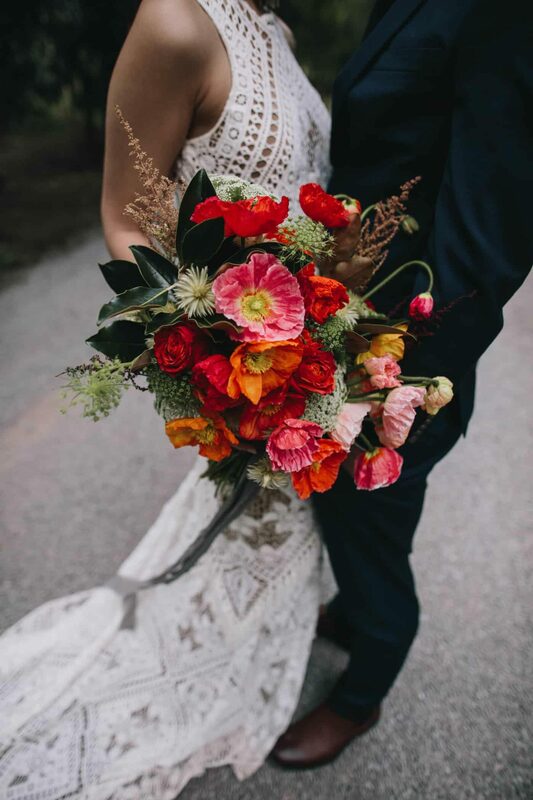 The addition of a vibrant bouquet of poppies, also by the talented bunch at Ode Studios, creates a distinctive bridal style. 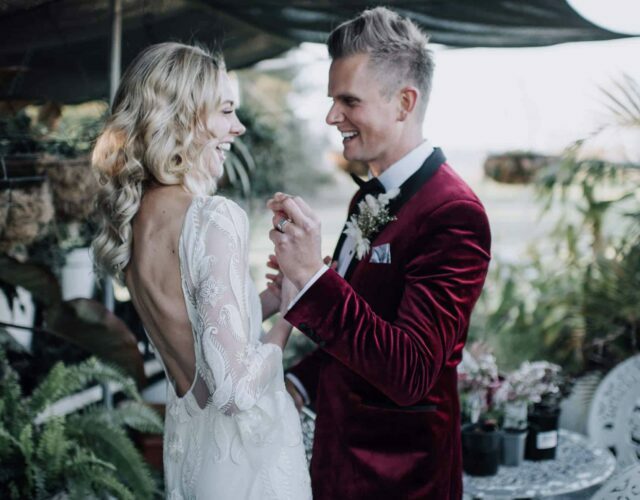 We’re also loving her groom’s look which is just the right mix of laid-back and sharp, with tousled hair and a deep blue suit by Black Jacket Suiting.